Student loan leads aren't just profitable, they're highly lucractive. 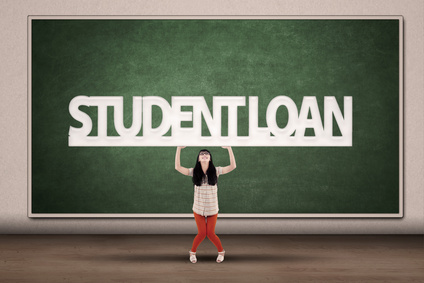 Blog » How To See If You’re Getting The Best Quality Student Loan Leads. That, coupled with high rates of inflation, a decrease in overall earnings as well as a rise in the cost of higher education has seen student loans numbers balloon in size…both in quantity as well as total balances. In fact, just to give you a refresher, the total outstanding student debt in 2013 stands around 1.2 to 1.3 trillion dollars. That’s more than all debt owed on credit cards in the entire country. It’s easy to see why right now is one of the best times in history to be in the industry of student loan consolidation. More and more people are going back to school or are remaining in school to help ensure they receive sound economic future. On the flipside, this reveals a trend that shows no sign of decline. More and more individuals exiting school with wildly inflated student loans and very little chance of paying them off quickly. Which is where your golden opportunity for anyone seeking student loan leads that will payout high dividends. What’s Really Shaking Up The Student Loan Industry. One of the biggest indicators that the student debt “crisis” shows no sign of abating is wrapped up in the fact that many adults are actually choosing higher education in lieu of sticking with the same job. The Department of labor recently conducted a study, and the findings revealed 91% percent of adults in the United States feel that finishing a degree, or getting a higher level of education makes them more desirable for hire, and will increase their overall earnings. Thus, many cash strapped adults are taking out loans to attend both brick and mortar 4 year institutions as well as attending online classes to bolster their resume. And since the economy has been in the tank for going on 7-8 years depending on who you ask, most adults who pursue an additional agree will need to borrow. This, combined with the reality that the numbers of high school graduates taking out the same loans, and entering the same job market means the overall number of people with staggering student debt transfers amicably to an insane number of student loan leads. Why You Need To Act Now To Seize Your Opportunity. The truth of the matter is, highly educated individuals do not want to be in debt any longer than they have to. Their earnings might be higher than those without as much education, but the totality of their debt can leave them searching for solutions to help them alleviate their debt situation quickly. This is why many are on the lookout for opportunities to consolidate their debt as quickly as possible. Unfortunately, you’re not the only company to have realized that there are quite a few fish in a small pond, and so many other entrepreneurs are looking to take a bite out of the pie. Which means if you want to skim the cream off the top, you’ll need to make a sound investment in both the quality and source of your student loan leads. If you want student loan leads that will convert consistently, you’ll want to make sure your leads come from a company that has a wealth of experience in generating leads that aren’t bogus. Far too often companies pump out leads that are fraudulently produced and garner ineffective results. In order to make sure you’re receiving the best quality leads for your dollar, look to companies who use system and who have robust technologies that weed out all but the best leads. Refuse to do business with a company that hasn’t perfected the art of verifying and pre-screening any and all student loan leads that come to you, as doing so is going to take huge chunks out of your bottom line. In fact, if you want to see what a company like that looks like, don’t hesitate to click on our About page and see why Forward Leap Marketing is one of the leaders in online lead generation for student loan leads. We’re confident the opportunity to make amazing profits is out there. And we’d love to hear your opinion on the state of the higher education loan market. Do you think the opportunity will shrink, or are you optimistic for the future. For that matter, what’s been the hardest part for pulling in a consistent stream of student loan leads? Don’t hesitate to tell us in the comments below.